Last November I was asked to do cakes for a Disney Princesses party. 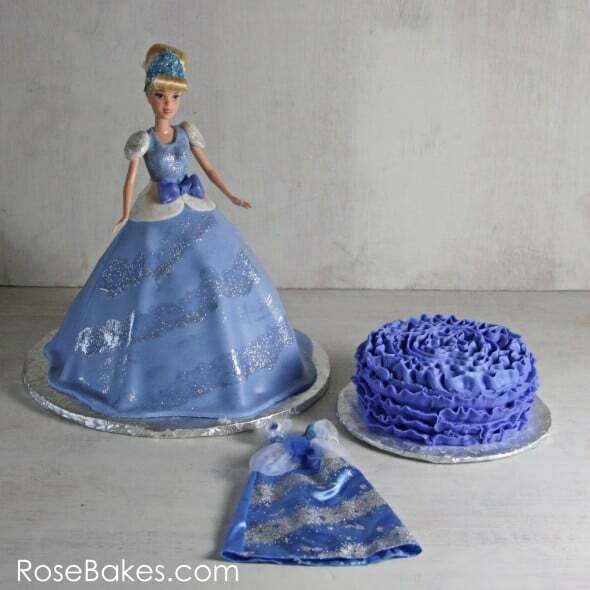 There were two cakes and two smash cakes: a Cinderella Cake & Smash cake… plus a Snow White Cake and smash cake for two sisters celebrating their very Disney birthdays together (not twins!). 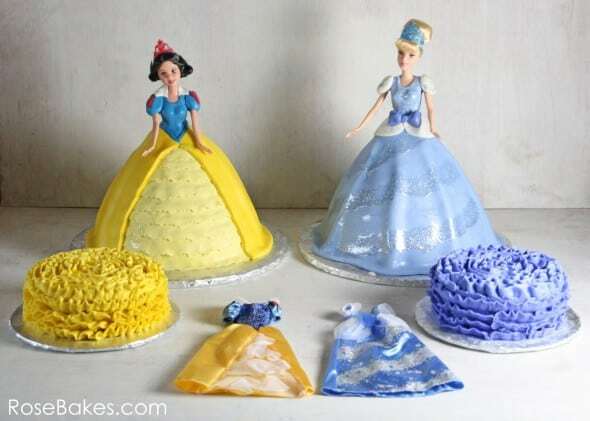 This morning I’m sharing the Cinderella Cake and this afternoon I’ll post the Snow White cakes. 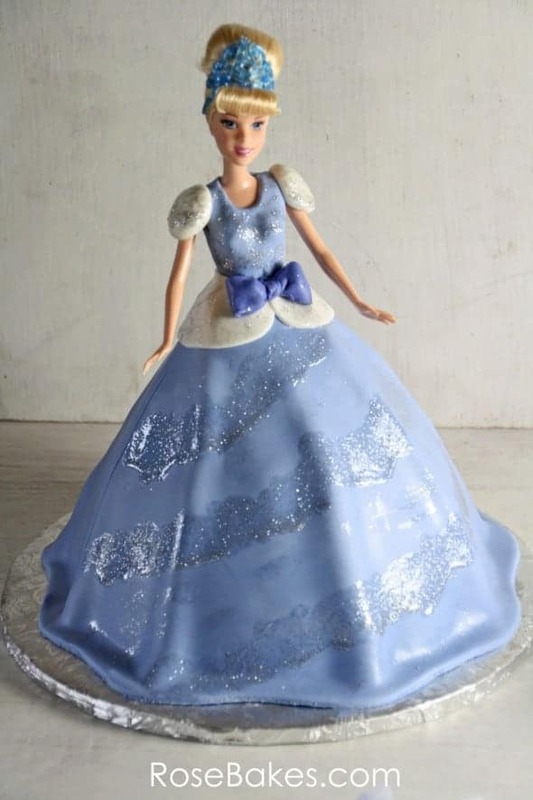 My customer sent me the actual Disney Princess Cinderella doll, but she wanted the doll in the cake and it decorated to match the real dress – so that’s exactly what I did – I striped down the dolls and used the real dresses as my main inspiration! I baked the main part of the cake in the Wilton Wonder Mold pan, then also baked an extra 8″ round cake underneath to make it taller. 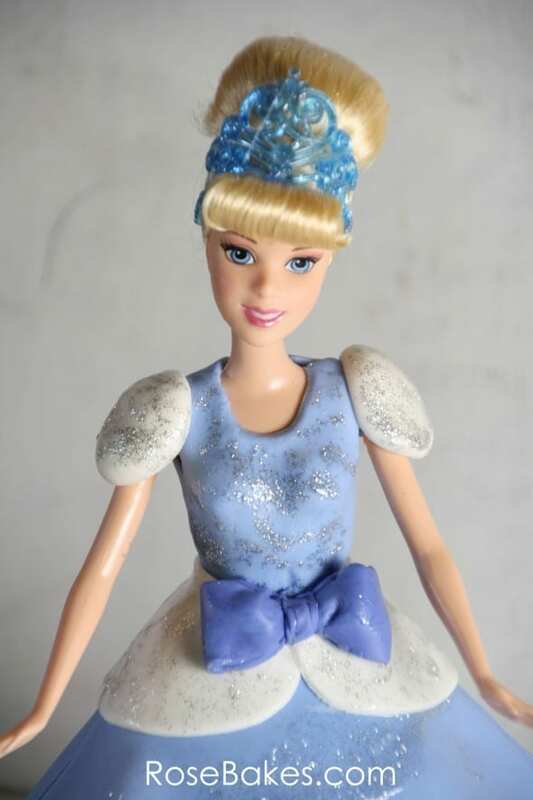 If you didn’t know, the real Barbie-like dolls have longer legs than the Wonder Mold cake pan is tall, so I add more cake on the bottom so she’ll be the right height! Does that make sense? 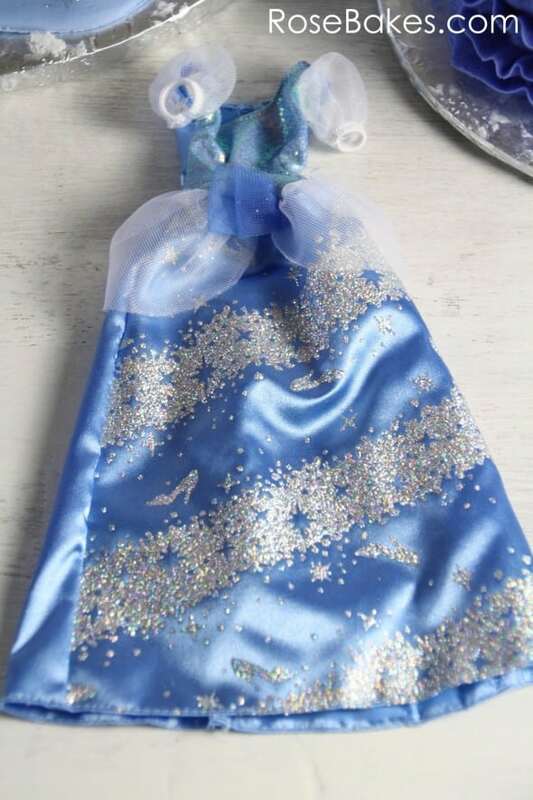 I used marshmallow fondant for all the decorations and painted silver disco dust on mixed with piping gel to make it shimmer (and match the real dress). For the matching smash cake, I did simple ruffles cake (like the one I did to match the owl cake). 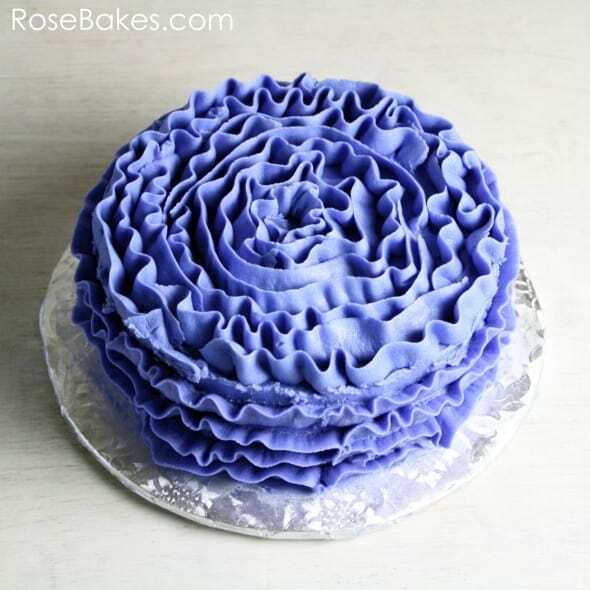 The technique is similar to the messy ruffles cake video I did for you – except you simply start in the middle of the top of the cake and go in circles all the way out and then around the sides! And that’s it! The cakes were vanilla on the inside with vanilla buttercream – but I mixed up the cake and made it blue and white to match the outside (sort of like the tie-dyed cakes). Here is a picture of all the cakes together… I’ll post the Snow White cake and details about it this afternoon! What do you think? 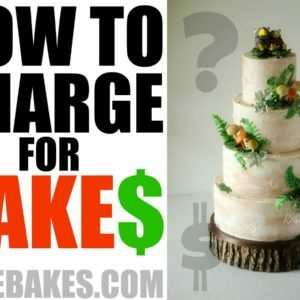 Do you have any questions about these cakes? Let me know in the comments… I absolutely love comments!! WOMAN! I stand in awe of your talent and skill. You are incredible!! I want to be like you when I grow up (hehe, I’m 40). I totally love your work. I am a HUGE fan of RoseBakes (tho I am not a big fan of fondant, you make me like it in theory). Thank you so much Margie! Have you ever had homemade marshmallow fondant? The texture still doesn’t appeal to everyone, but it tastes a million times better than any store-bought fondant! The couple times I did these (years ago) I used the pick dolls (which are not very pretty), how did you put a full sized doll inside the wonder mold cake?